My favorite time of the year is here: soup season! There’s just something so right about having a house filled with the smell of soup simmering away on the stove. Plus, like lasagna, the leftovers get even more flavorful when the ingredients have time to blend together. 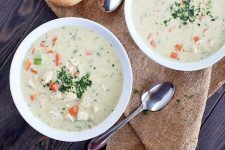 Chicken noodle, potato chowder, and tomato bisque are all winter staples, but I bet cream of pistachio isn’t one of your top picks… yet. This cream of pistachio soup took me completely by surprise. 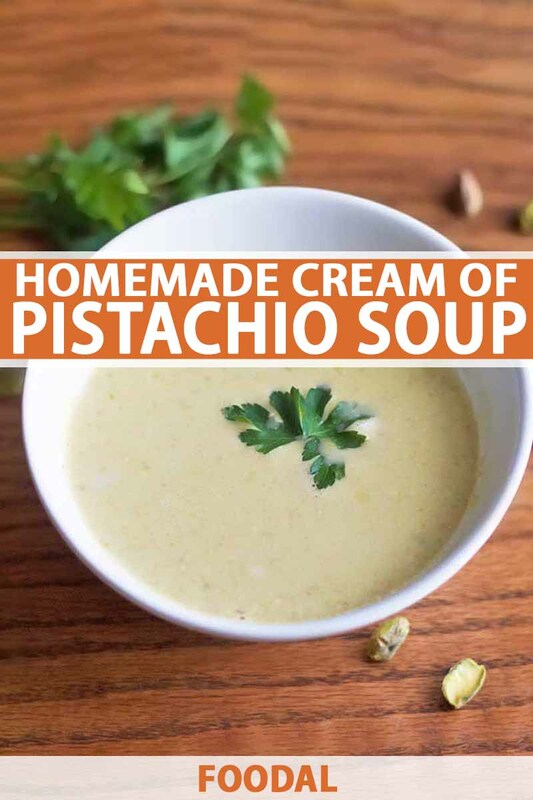 I love pistachios and, clearly, I love soup, but I never thought to put the two together. At first, his answer baffled me. How can soup be fun? But the more spoonfuls I took, the more I realized he’s right. And then my head started swimming with dinner party ideas where this recipe would make an impressive first course. 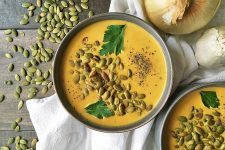 Ladled into your favorite bowl or large mug, this pistachio soup is deliciously cozy. 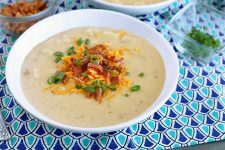 And while it is creamy, it’s also surprisingly light, making it perfect as an appetizer or lunch. 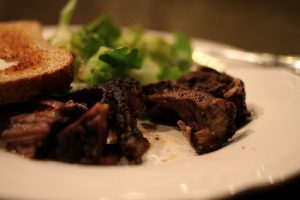 If you’re looking for a heartier meal, simply add a green salad and a piece of crusty bread on the side. If I can give one piece of advice when making this dish, it’s to make sure your blender lid is securely on, and slowly increase the speed as you go. I made the mistake of setting my Vitamix to high from the start, and ended up with pistachio soup all over my window and dripping down the counter – to the delight of my puppy. Between cleaning up the mess with one hand and trying to look up whether pistachios are dangerous for dogs with the other (good news, they aren’t), making this recipe ended up being more exciting than anticipated. 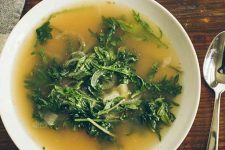 However, once the window was sparkling clean and the counter wiped up, I was able to sit down with a bowl of this soup and, with each spoonful, all that stress just melted away. While onions are usually a staple of soups and stews, lately I prefer the more delicate flavor of shallots. Also a member of the allium family, shallots are more mild in flavor than onions and have a slight garlic taste. 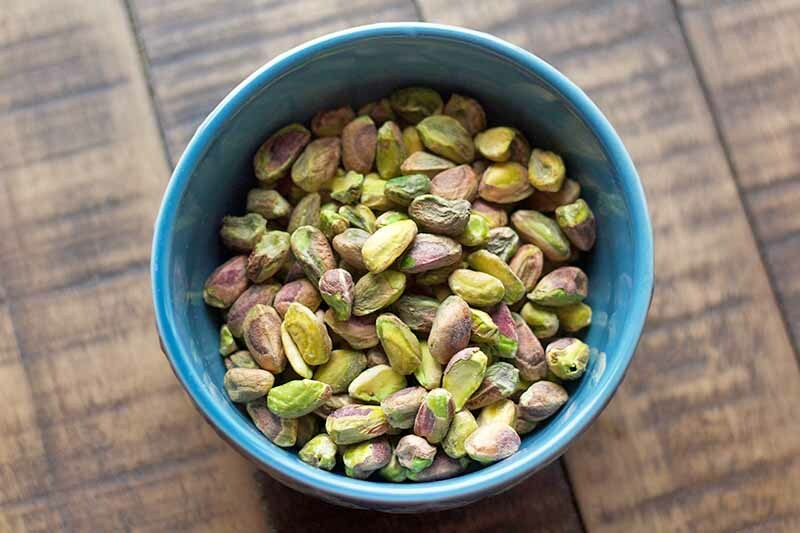 They are a bit sweeter than onions, which is why I particularly like them for this recipe – the more mild flavor and slight sweetness pairs so well with the nutty pistachios. However, if you want to use an onion instead, you can substitute 1/4 cup of diced yellow onion for the shallot. 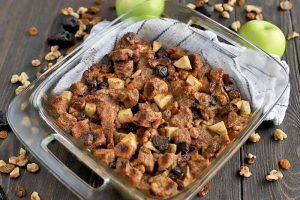 While this dish is meant to be smooth, if you like a little more texture, you can skip pouring the blended mixture through a wire mesh sieve before serving. I made it both ways, and my husband preferred having that extra texture. But if I were to make it for guests, I’d go ahead and strain it. 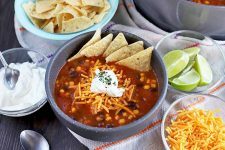 And don’t worry if you or your guests are non-dairy – we have recommendations for equally delicious ways to make this recipe vegan below. 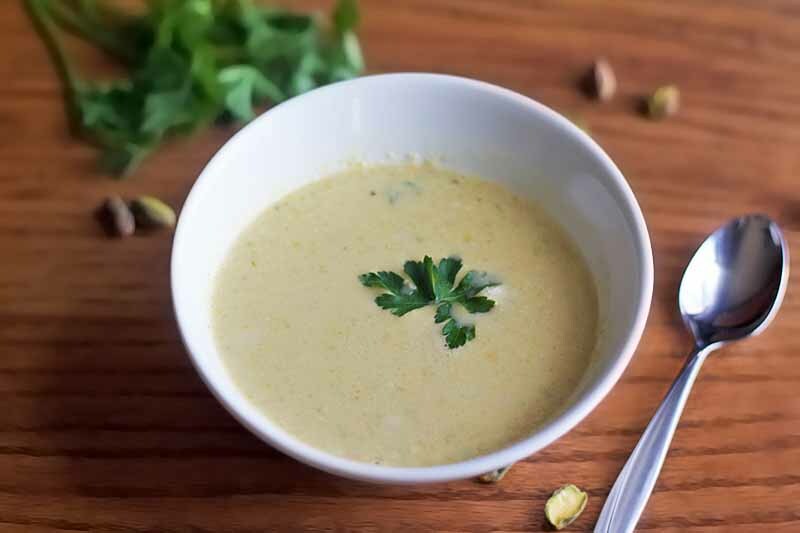 Keep warm with a bowl of homemade cream of pistachio soup. Nutty, creamy, and savory, this recipe is the epitome of cozy. 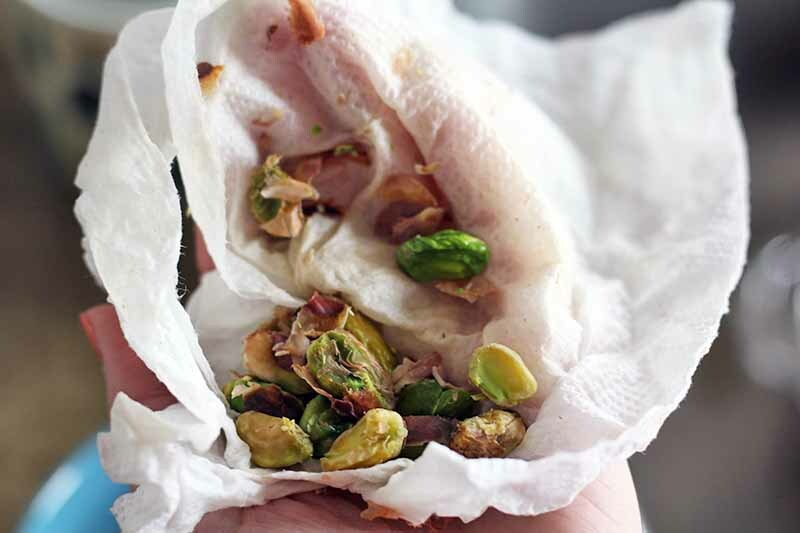 Remove pistachio skins and set aside. Place a large pot over medium heat, and add oil. 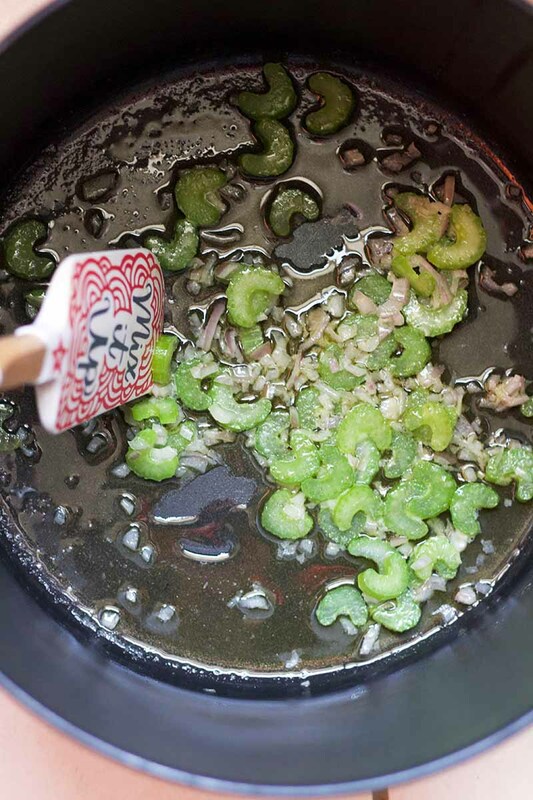 Once oil is hot, reduce heat to low and add the diced shallot and celery. Cook for 8 minutes, or until vegetables are softened, stirring occasionally. Add garlic and cook another 2 minutes, stirring occasionally until fragrant. Add the sherry, 1 cup pistachios, broth, rice, and 2 tablespoons parsley to the pot. Bring to a boil, then reduce the heat, cover, and simmer until rice is tender, about 25 minutes. 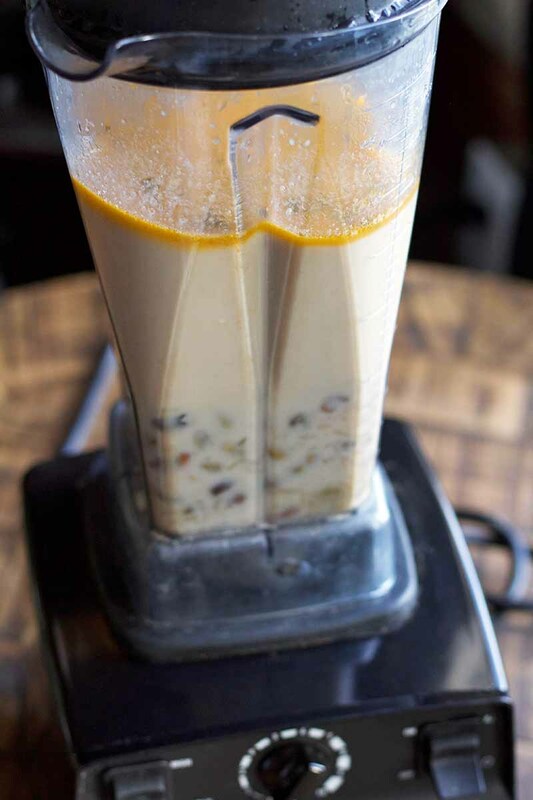 Using a countertop or immersion blender, blend until smooth. For a smooth consistency, pour through a wire mesh strainer and discard any large pieces. Return to the pot. If soup has cooled, reheat on the stove over medium heat for about 3-5 minutes. Taste and add salt and pepper if needed. Chop the remaining pistachios. 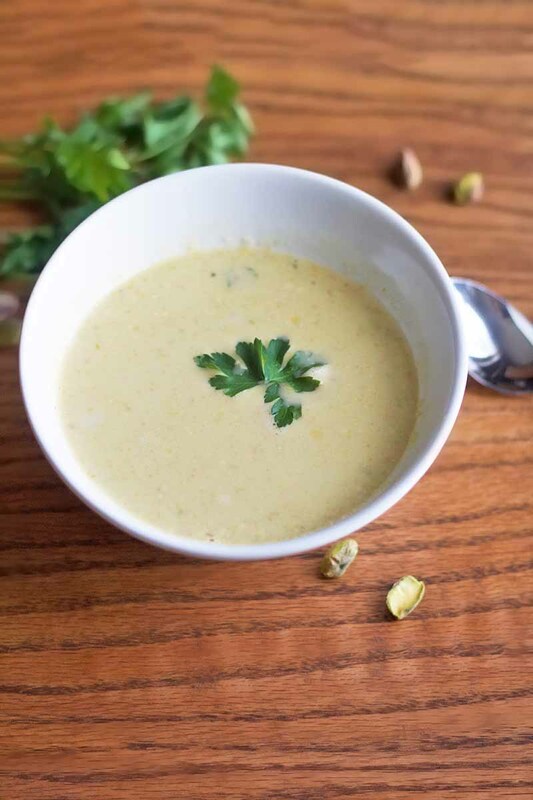 Pour soup into individual bowls and garnish with chopped pistachios and parsley. Enjoy immediately. Leftovers will keep in the fridge for up to 5 days. 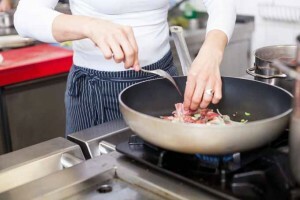 I prefer a dry sherry when cooking savory dishes, as it gives a good depth of flavor without adding too much sweetness. If you don’t have sherry, a crisp white wine such as a Sauvignon Blanc or Pinot Grigio would work well. In general, I try to avoid cooking sherry and cooking wine as they have added salt to extend their shelf lives. If you’re looking for an alcohol-free option, apple cider vinegar is a good choice. In recipes like this one where the amount of sherry is small, you can substitute an equal amount of vinegar for the sherry. 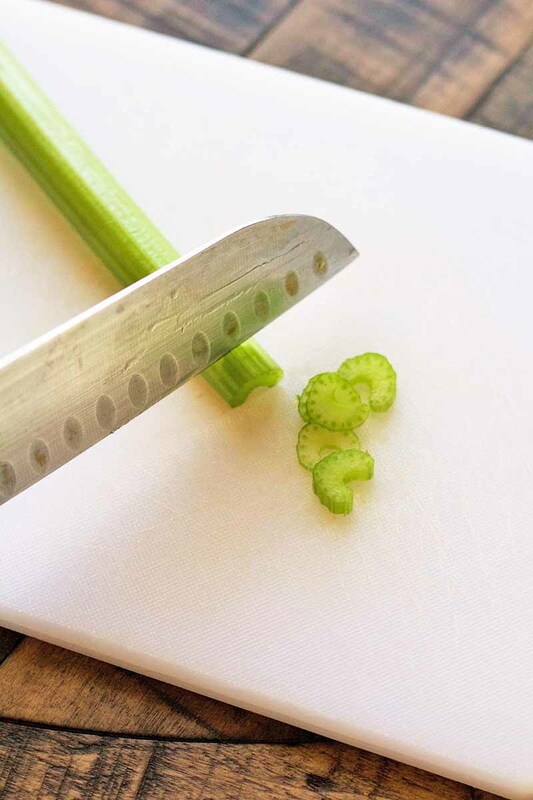 Using a sharp knife and a sturdy cutting board, chop the celery and dice the shallot. 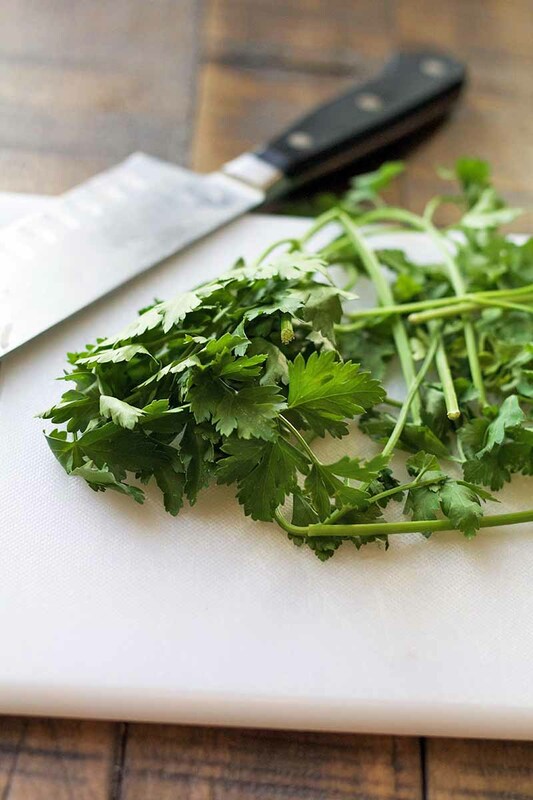 Remove the stems from the parsley, and finely chop the leaves. Get out your trusty garlic press and mince the garlic. To remove the pistachio skins, my preferred method is to blanch them. 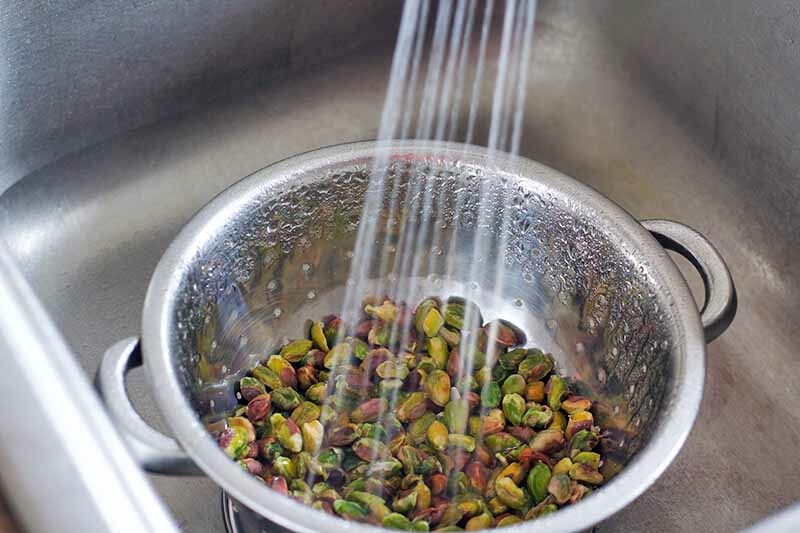 Place 1 1/4 cups of pistachios in 2 cups of boiling water and boil for 1 minute. Transfer them to a colander and rinse with cold water. Using a paper towel, vigorously rub a small handful of nuts at a time to remove the skins. 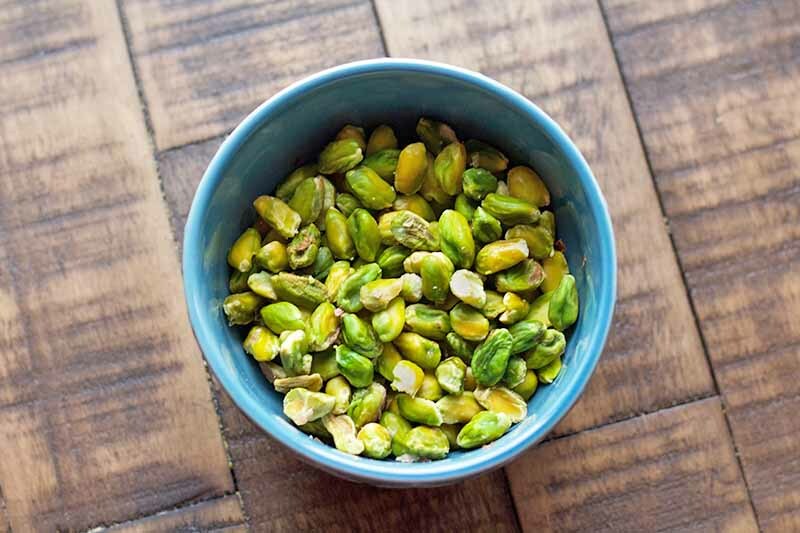 Chop 1/4 cup of pistachios for garnish, and leave the rest whole. Place a large stock pot on the stove over medium heat. Add the oil. Once oil is hot, reduce heat to low and add the diced shallot and chopped celery. Cook for 8 minutes, or until vegetables are softened, stirring occasionally. You don’t want the vegetables to stick or the onion to brown – keep an eye on the pan, and turn down the heat if necessary. Add the garlic and cook for another 2 minutes or until fragrant, stirring occasionally. 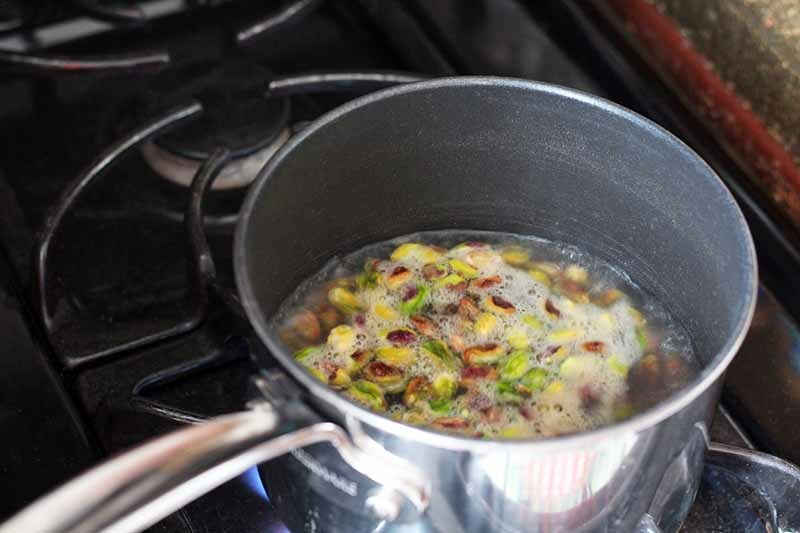 Add the sherry, 1 cup of blanched pistachios, broth, rice, and 2 tablespoons of parsley to the pot. Bring to a boil, then reduce the heat to medium-low. Cover and simmer until the rice is tender, about 25 minutes. Stir in the half and half and continue cooking over medium-low heat until hot, about 5 minutes. 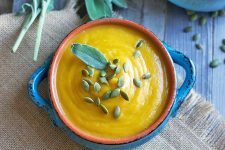 To blend the soup, you can either use an immersion blender, or carefully transfer it into a countertop blender. Blend until smooth, working in batches if necessary. 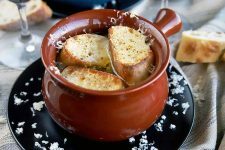 For a smooth consistency, carefully pour the soup through a wire mesh strainer, and discard any large pieces. 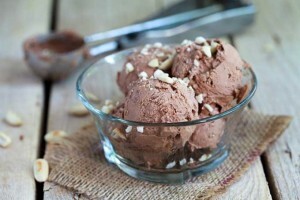 This may not be necessary if you’re able to achieve a smooth consistency using a high-speed blender. Return soup to the pot. To reheat before serving, place the pot back on the stove over medium heat for 3-5 minutes, or until heated through. Ladle into bowls, and garnish with chopped pistachios and parsley leaves. Serve immediately. 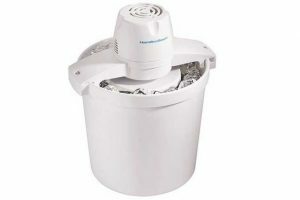 Leftovers may be stored in the fridge for up to 5 days. 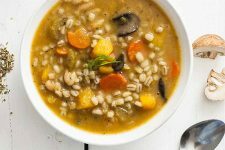 To make this dish vegan, you can replace the half and half with cashew cream. 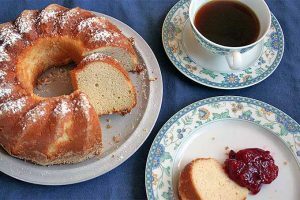 You could also use an unsweetened coconut or soy creamer. 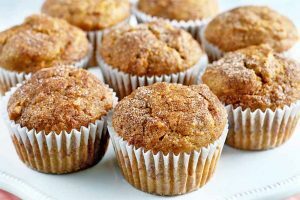 I tried making this with unsweetened almond milk as well, and while the taste was still on point, the overall consistency was much thinner. For the butter, you can either use a vegan margarine or 4 tablespoons of olive oil. 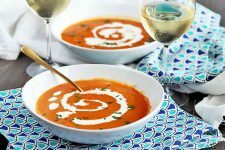 Forget salad, soup is an easy, yet creative first course option for your next dinner party. 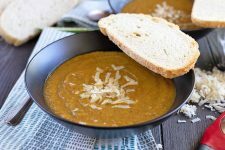 Perfect for using up any leftover veggies sitting in the fridge or eating what’s in season, soups can be an affordable way to feed a crowd. Best of all, they can also be a fun way to add a pop of color to your meal. 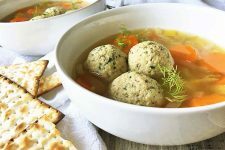 What’s your favorite non-traditional soup recipe? Let us know in the comments below, and don’t forget to rate this dish when you give it a try! Photos by Kelli McGrane, © Ask the Experts, LLC. ALL RIGHTS RESERVED. See our TOS for more details. Originally published by Shanna Mallon on March 10, 2009. Last updated: March 14, 2019 at 19:31 pm. 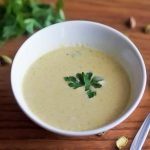 Pistachio soup – that would never have occurred to me but it sounds delicious. I made a huge vat of soup at the weekend and it is so simple but so comforting to know that there is home made soup in the freezer whenever you need it. 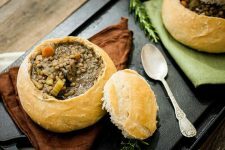 Everywhere I go today in BlogLand, people are making soup. I missed the memo, but now you’ve got me. And I’m only 27. I feel like a perpetual 22, but the numbers keep climbing. Oh well. More memories, right? i think soup, while more of a winter treat, is something i can consume year round. i’m always cold tho, even in the dead of summer. this soup looks wonderful and the company sounds even better. whenever i am out of canned broth, i just use water but i usually season with fish sauce, which adds the depth of flavor that chicken broth does. A different take on the ‘cream of…’ soup. Lovely. I know what you mean by “only” 26. When do you think we will feel like we can’t say that anymore? I can really relate to the simple things that make life worth it. My coffee is number one, and every night I also look forward to the hour of reading, under my covers before bed. It’s so wonderful that at “only 26” you are able to live totally in the moment. Most people have a hard time grasping that simple pleasure. Gemma – You know, I have never thought to freeze soup before. Any advice on that? MFK/Kendra – More memories, exactly! And I love that you feel like you’re 22. I need to be around more people like that. TJ – You are one after my own heart! Lan – I love new ideas for substitutions. So fish sauce… is it very bad that I don’t know what that is? How much do you add? DD – I love all cream soups. It’s official. Susan – As soon as I read your comment, I really thought to myself, when will it not be only? I have a pretty good feeling I’ll be the senior citizen in the nursery home saying, I’m only 99! Coco Bean – Under my covers right now, in fact, all warm and cozy. It IS lovely. Joie de vivre – What a nice thing to say. Thank you! oh wow, that looks amazing! i’m glad you had someone there to help with shelling…quite a task! Your writing is achingly beautiful! Ordered “The Tenth Muse” and am looking forward to diving in. 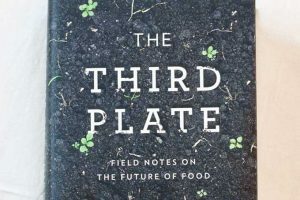 Thanks for the recommendation and a truly wonderful blog! You’re kind, Donna – thank you! BTW, did I tell you about Tenth Muse? I don’t think I’ve read it, so you’ll have to give me your feedback! Oh, that was gorgeous writing. Thank you! Thank you, Rachel, both for stopping by and for commenting!